There are so many parts of the Harry and Meghan fairytale that we have all fallen in love with – everything from the impromptu secret set-up to the secret relationship to the wedding proposal over a roast chicken. One of our favourite parts of the fairytale though happened somewhere in the middle, when one photo broke their relationship wide open to the press… All because of one small necklace. Back in December 2016, Meghan stepped out in Toronto to pick up some fresh flowers in a great, casual outfit – but it was the small piece of jewelry around her neck that had us buzzing… The necklace had the initials “H”and “M” on it! That had to be Meghan and Harry, right? 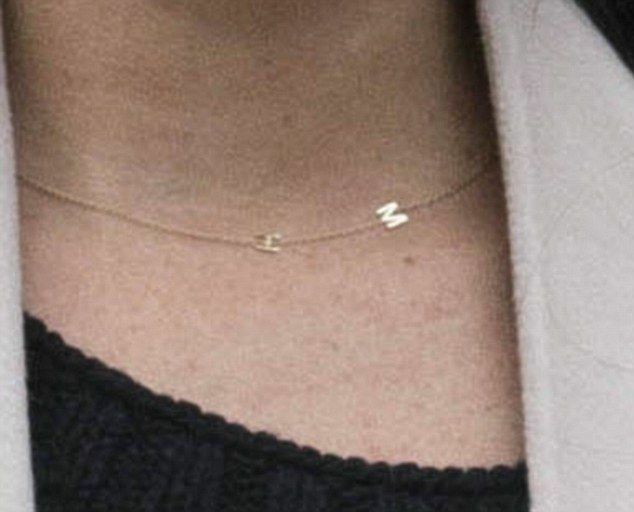 Yes, this little gold necklace was in fact the smoking gun, the leak, and the long awaited confirmation that they were indeed a couple. We thought it would be fun to share a little of the story behind the necklace and spoke with the founders Shawna and Randi Herlich to learn more about their company, their story and – of course – that necklace. Right Hand Gal is based out of Montreal, Canada. 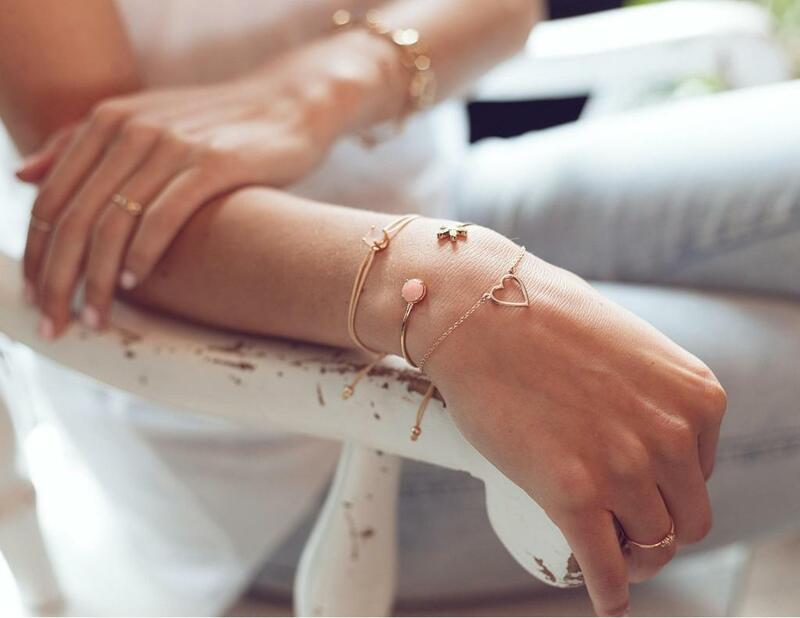 Though to some, The Right Hand Gal may appear to be just another fun jewelry line, there is so much more than meets the eye. Randi and Shawna are great advocators of women’s empowerment, a core value of the brand, and every piece created tells a unique story meant to uplift and inspire. The idea is to instill the notion that with passion, authenticity and confidence, women can truly be unstoppable. Every piece fabricated is meant to grow with the owner and endure the tests of time, like modern day heirlooms that can be effortlessly mixed, matched and layered with trending favourites. 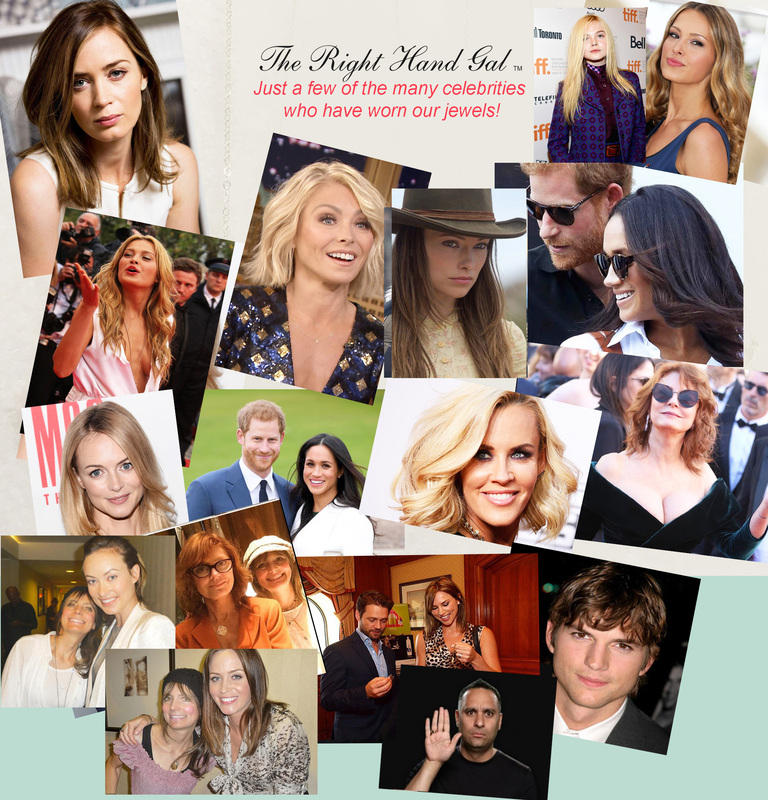 Their jewelry is also a celebrity favourite, with many famous fans wearing their pieces. The left hand is reserved for the misters, but the RIGHT HAND is reserved for the sisters.” Simply put, this means why wait for a man to be dazzled when one should and could be dazzling oneself? 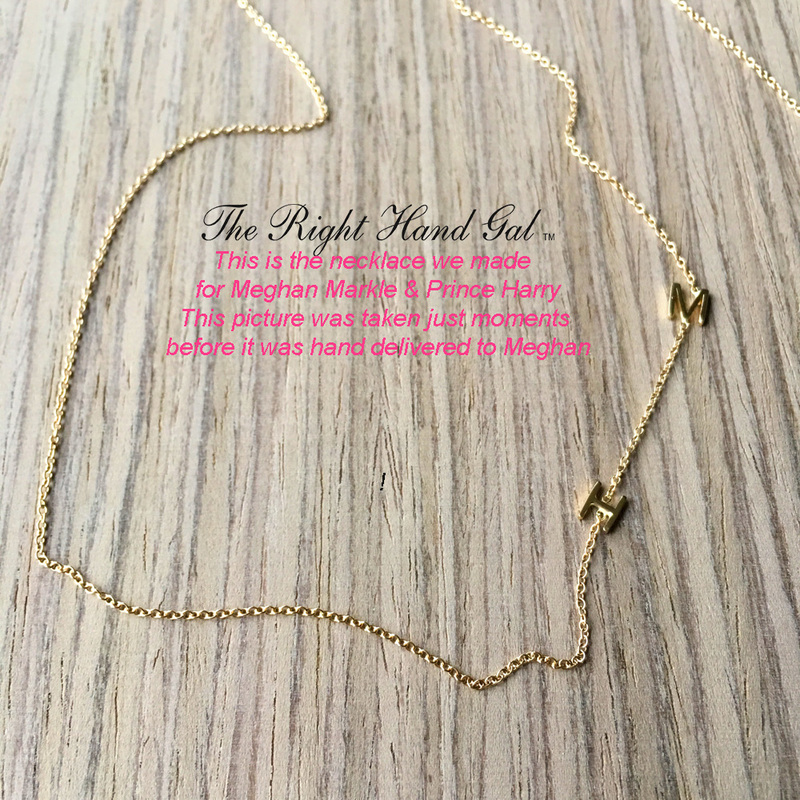 Back in 2016, the Right Hand Gal jewelry company was commissioned to create their signature mini initial necklace with the initials M & H. Meghan’s BFF and stylist, Jessica Mulroney, went into Ani + Wren, a boutique the friends often shopped at, and ordered one of the necklaces with the initials “H” and “M” on it. The girls at Ani + Wren shared with us that they knew the order was placed by Jessica and that they were puzzled about who the titular “H” and “M” were. Right Hand Gal actually photographed the exact necklace before it was delivered. that will always live on one of the first few pages of this incredible & evolving royal fairy-tale. A great legacy and story to be told about a special Canadian Jewelry Company. 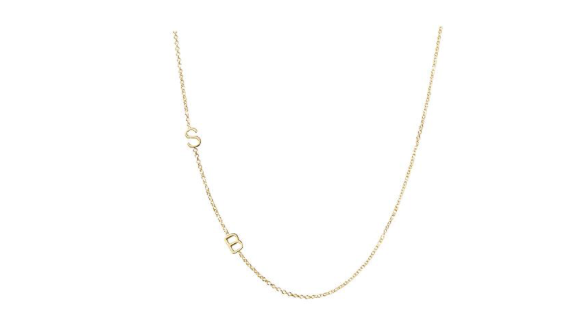 The necklace Meghan wore was yellow gold, with two initials added. You can order the necklace from the Gals themselves via their website. We love how this shone a spotlight on not only a Canadian retailer, but on one with values that so ardently align with Meghan’s.